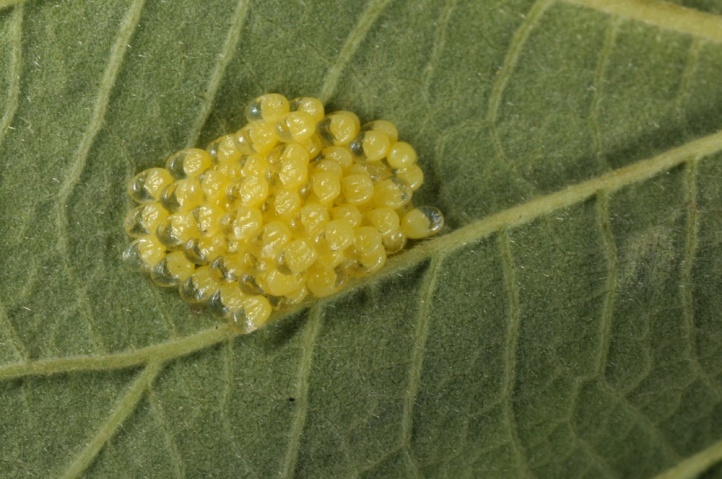 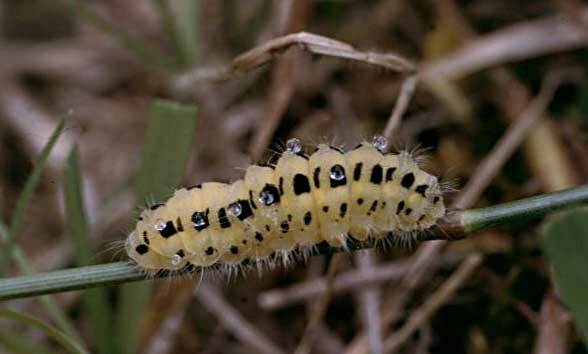 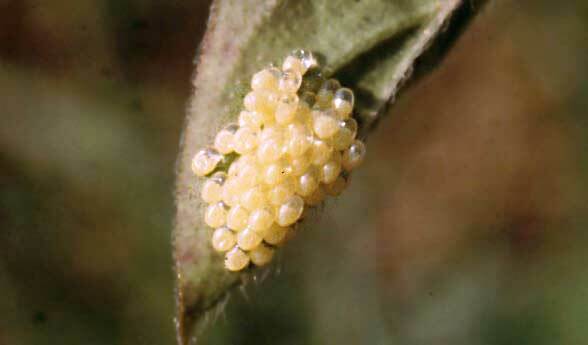 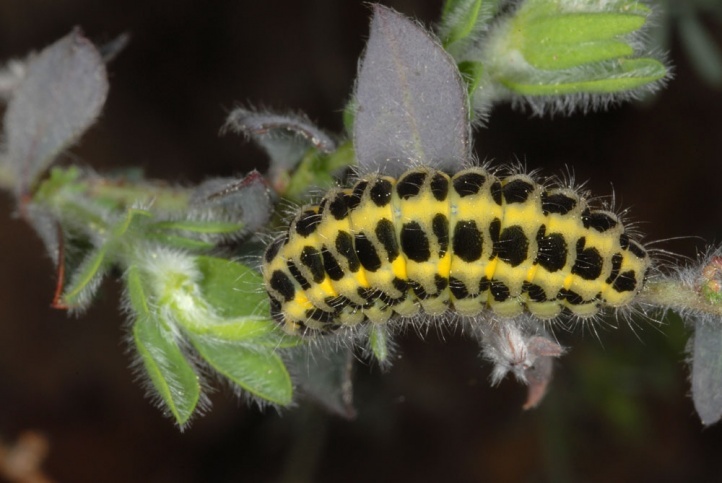 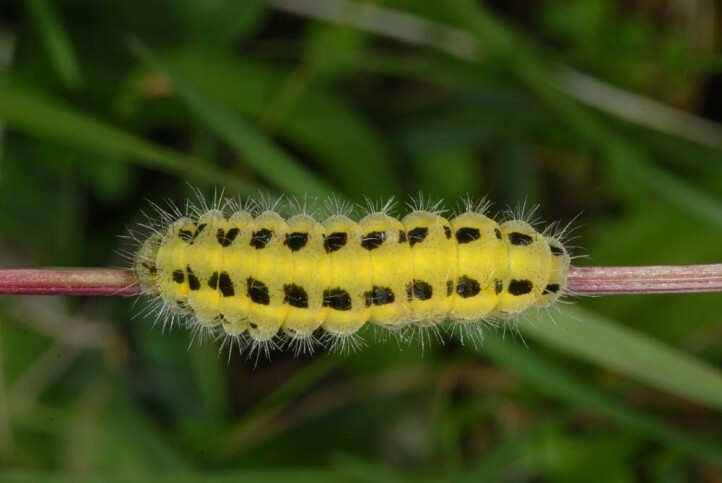 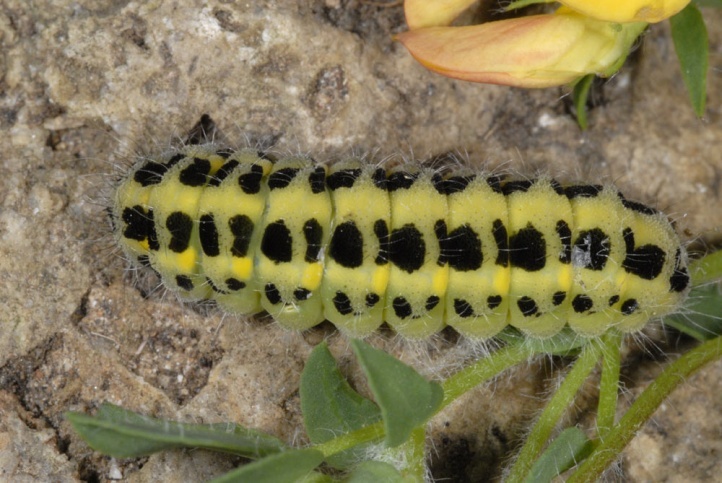 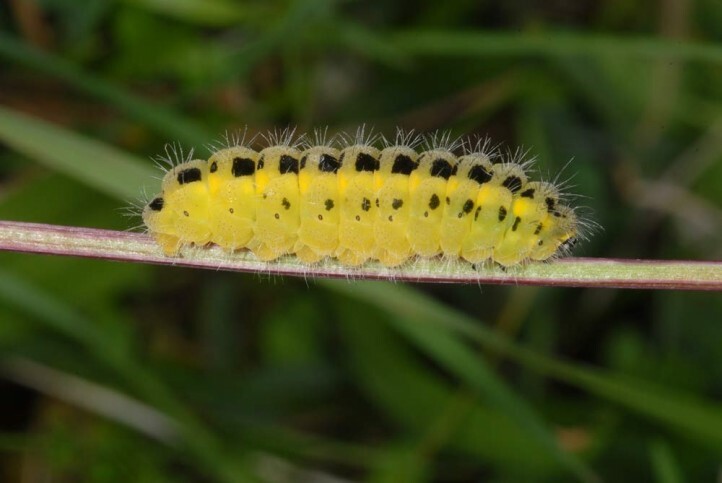 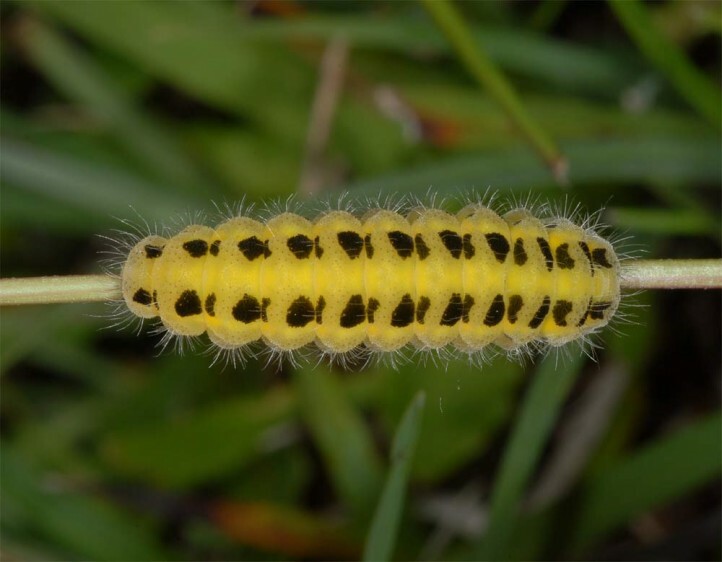 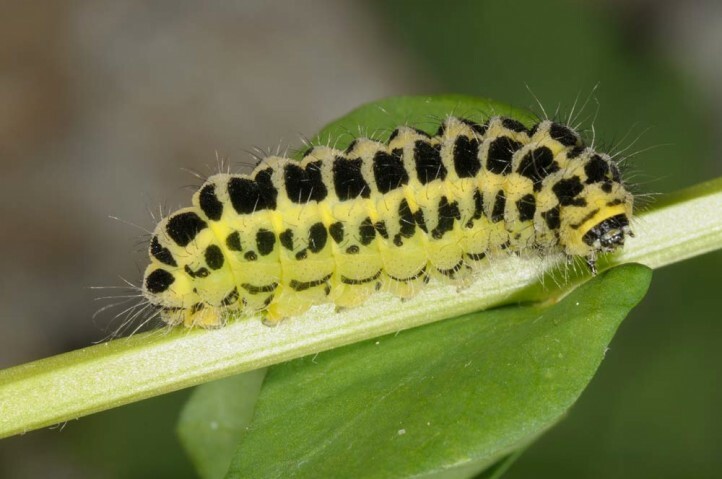 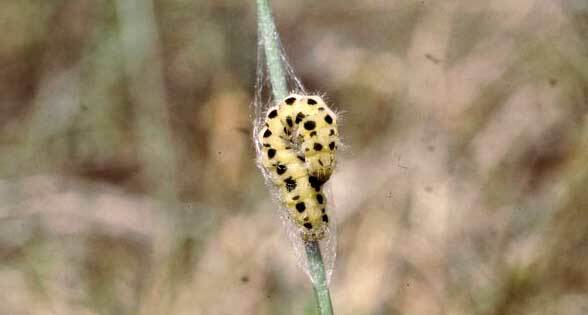 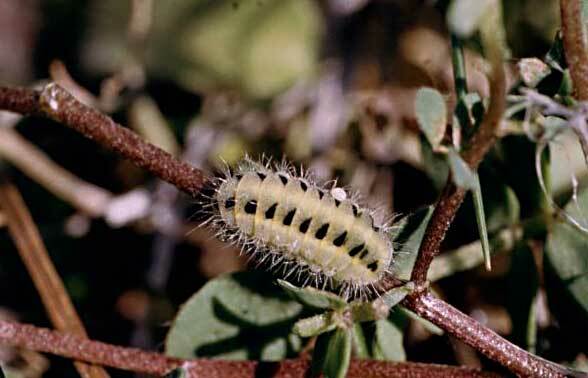 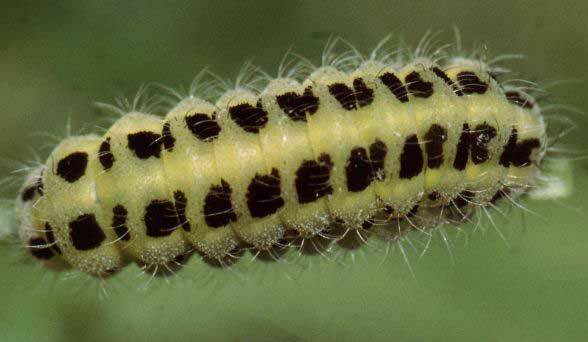 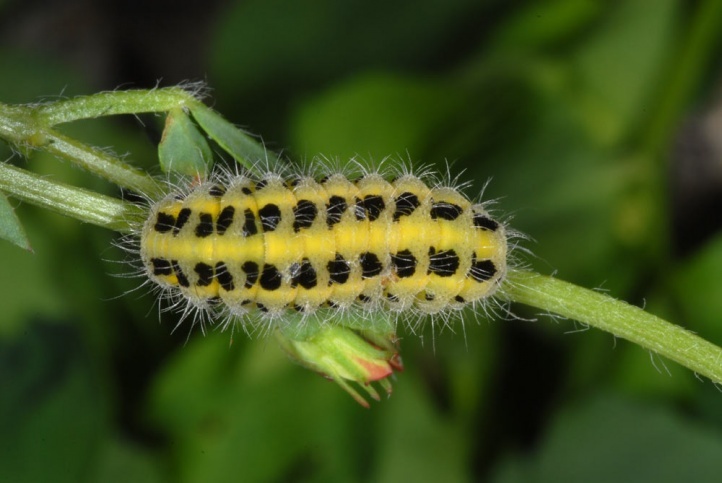 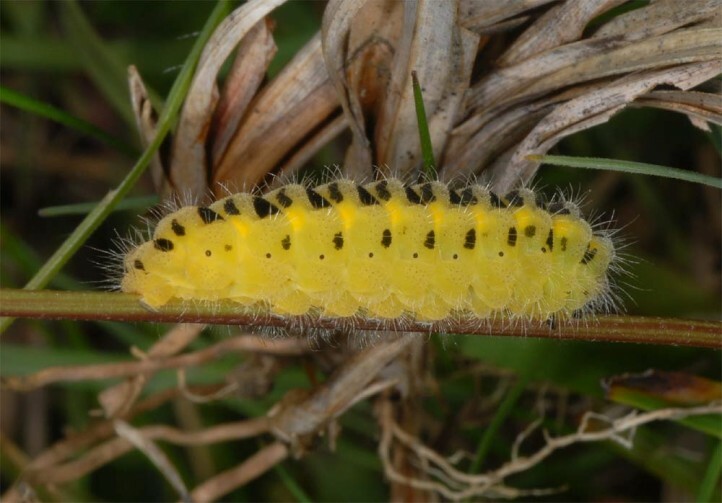 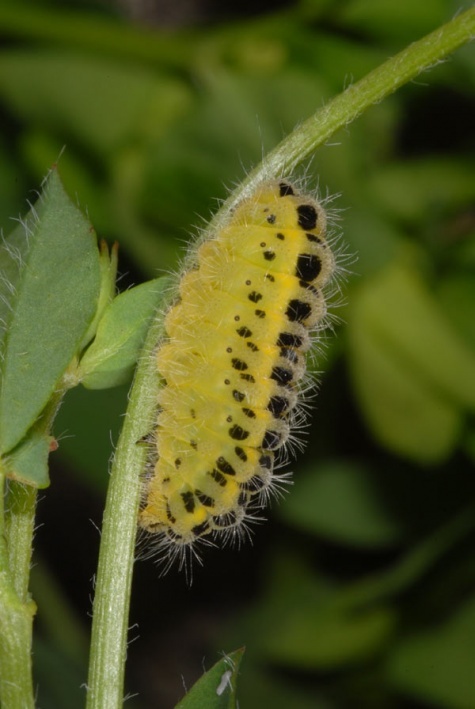 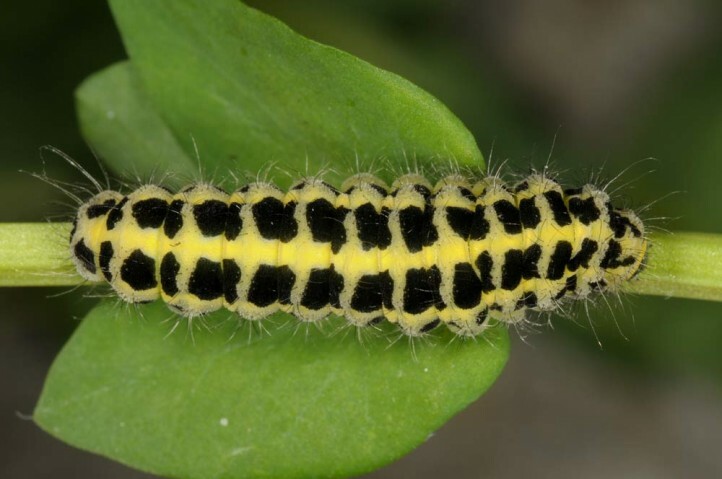 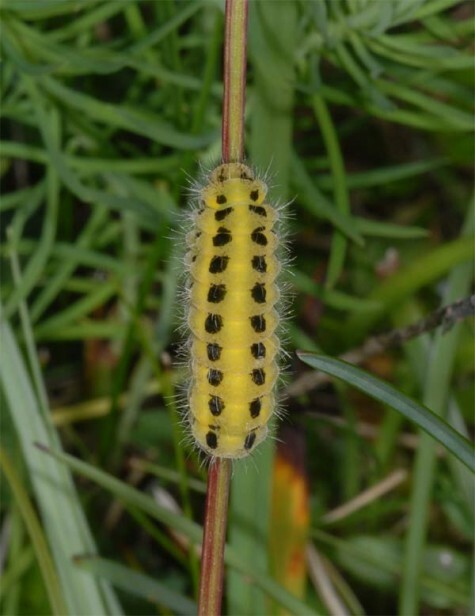 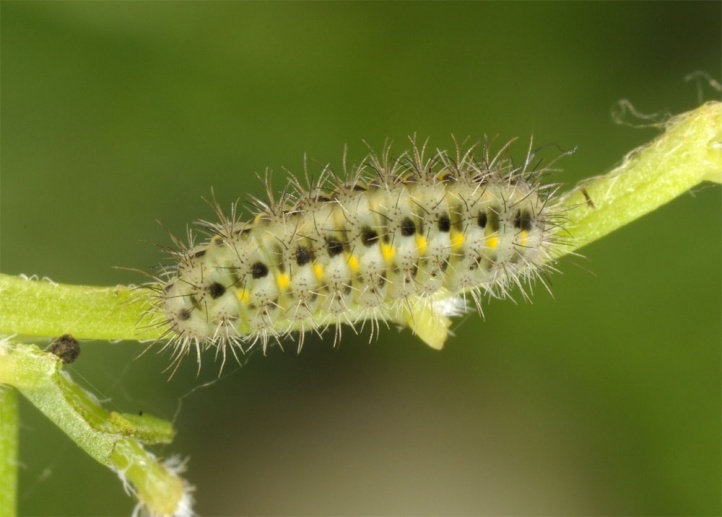 The caterpillars consume Lotus corniculatus and L. uliginosus, in Southern Europe also Dorycnium pentaphyllum and other Dorycnium species. 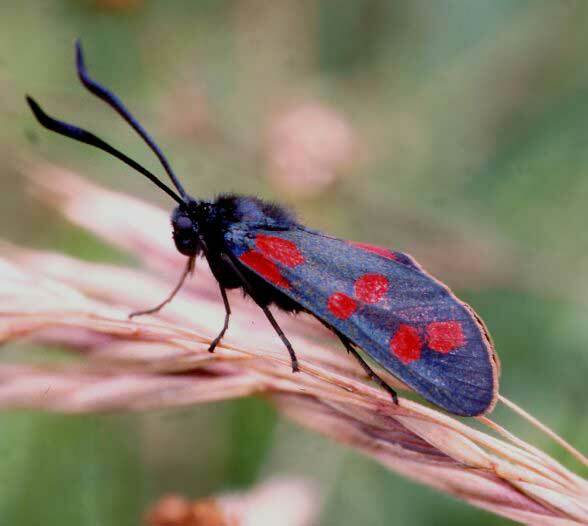 Zygaena filipendulae inhabits diverse extensivelymanaged open and half open habitats from clearcuts and broad forest edges over fens and mesophilic extensive grassland to very xerothermic calcareous heathlands. 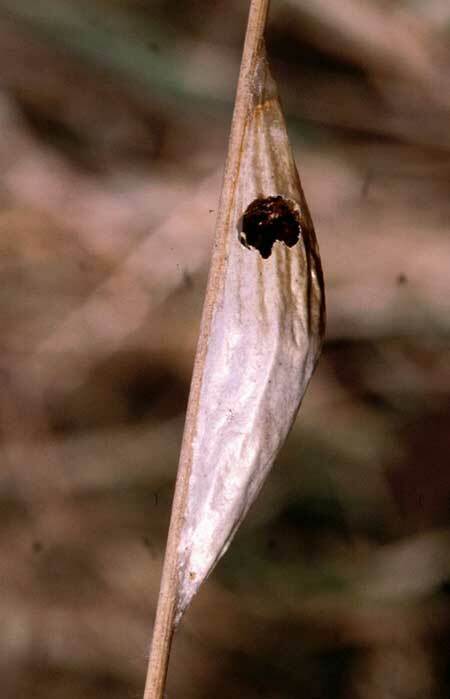 Of particular interest is the phenology that is apparently adapted to the resource availability. 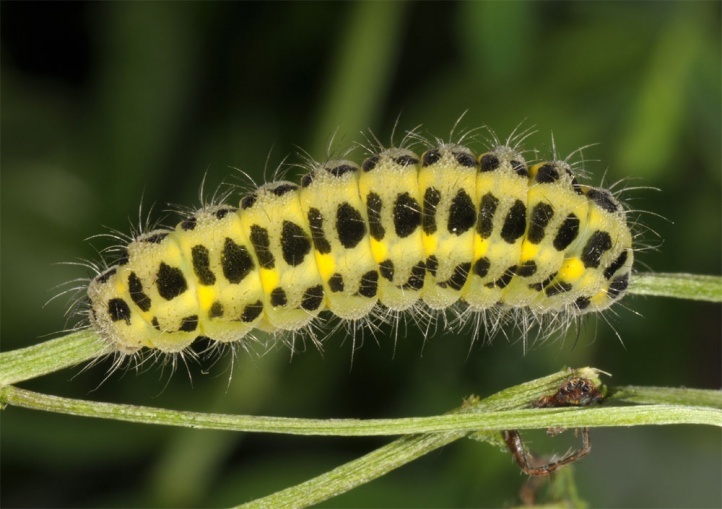 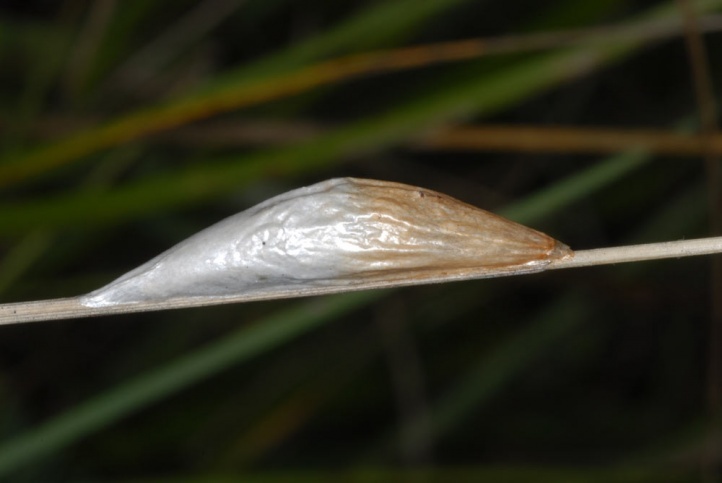 On the eastern Swabian Alb (as usually in dry habitats) a late flight time prevails with maximum between July and early September, which is caused by caterpillars wintering at a small size, late activity restart in spring and slow development. 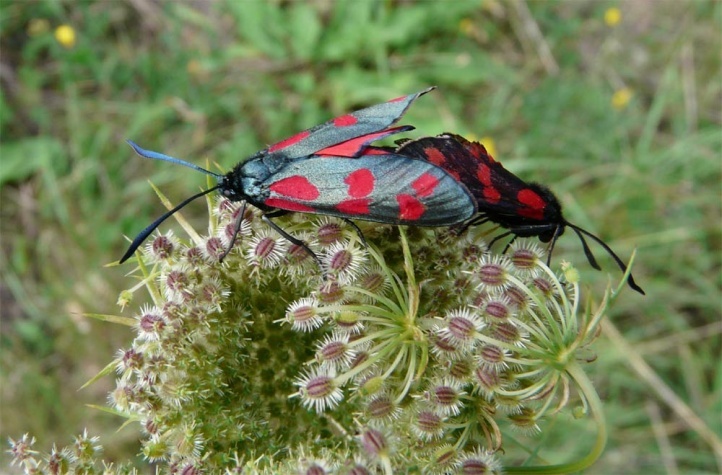 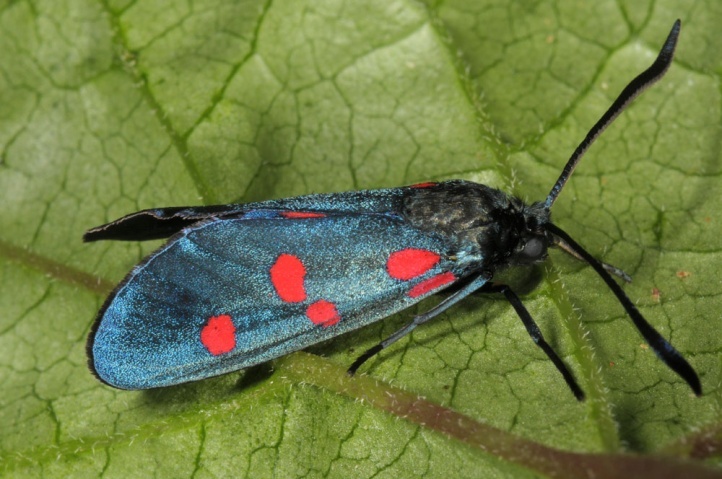 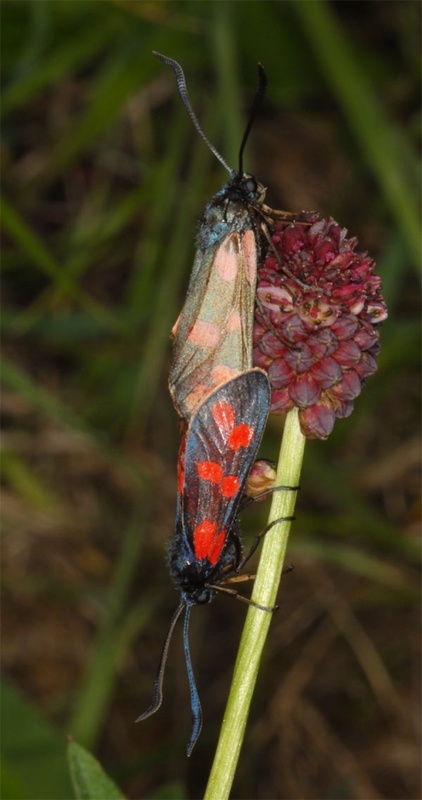 In wetlands (and in the Bavarian foreland of the Alps) Zygaena filipendulae has, however, an earlier flight time with peak between mid-June and early August due to the earlier restart of the hibernated larvae which overwintered generally in larger instars. 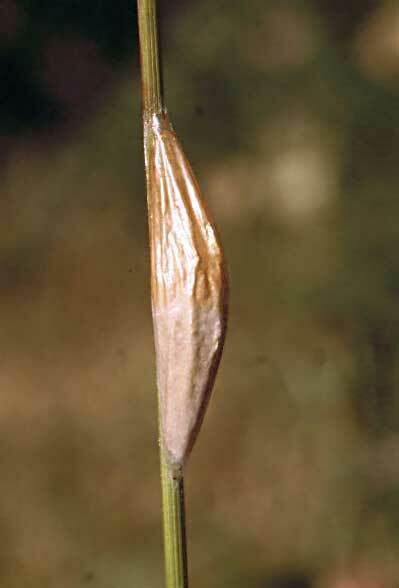 This data may also vary in some areas. 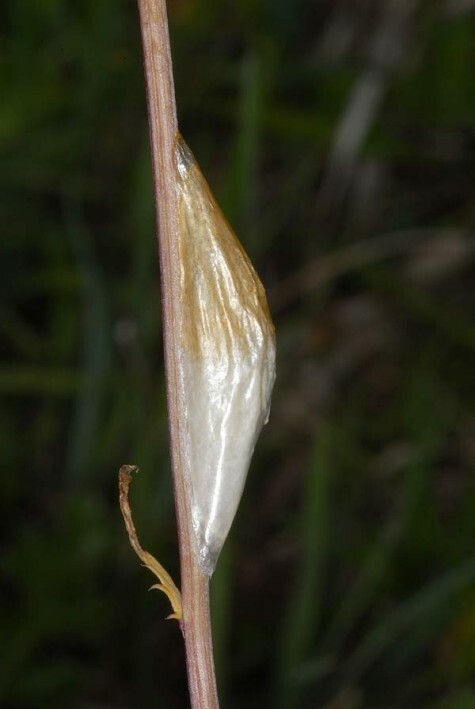 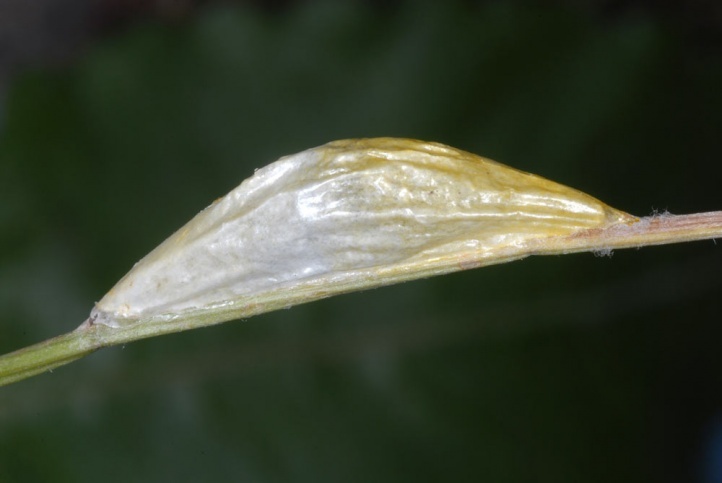 The total flight time of the one generation (which may be composed of heterogeneous fractions stretching over several years of larval development) may be from May to October! 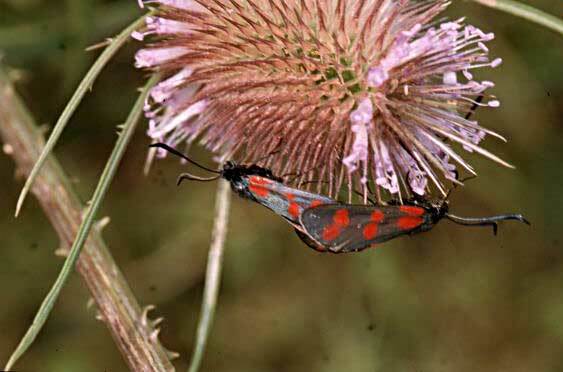 In areas with abundant extensively managed grasslands and fens this still most widespread Burnet is unthreatened. 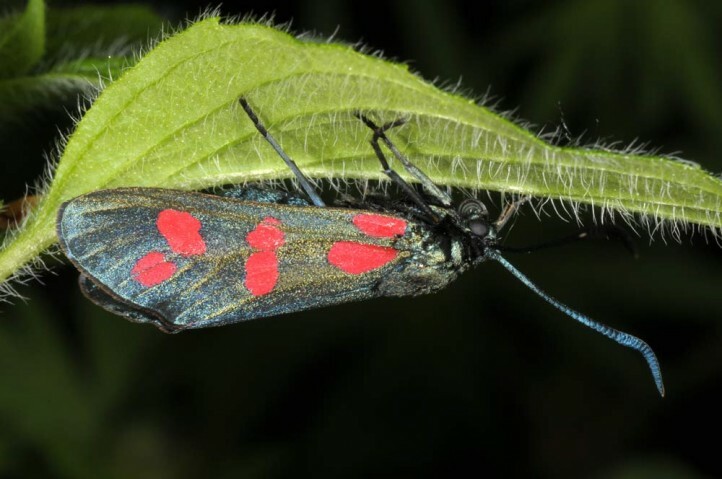 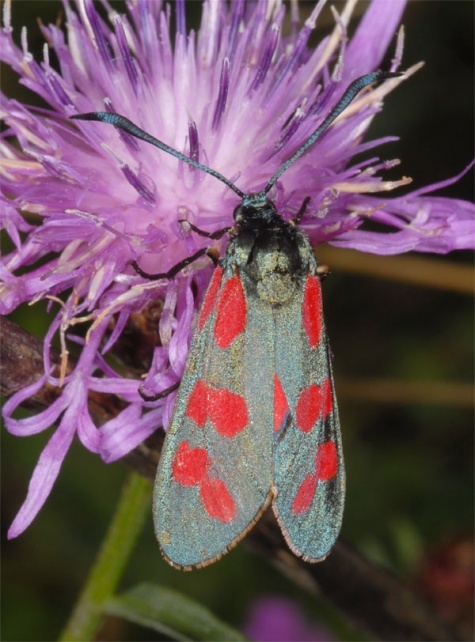 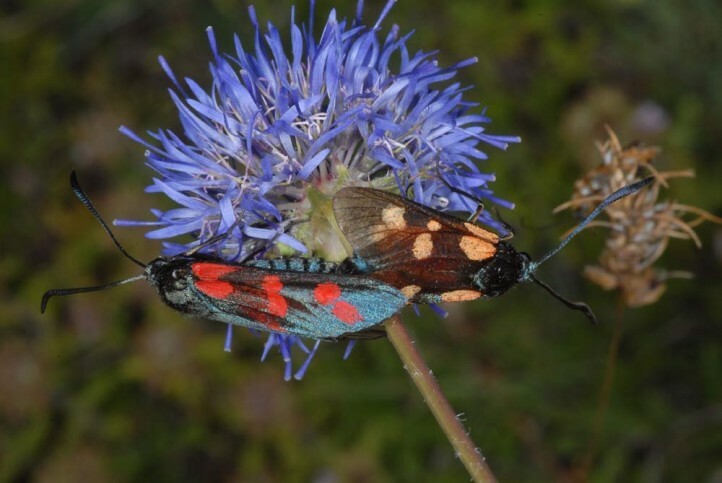 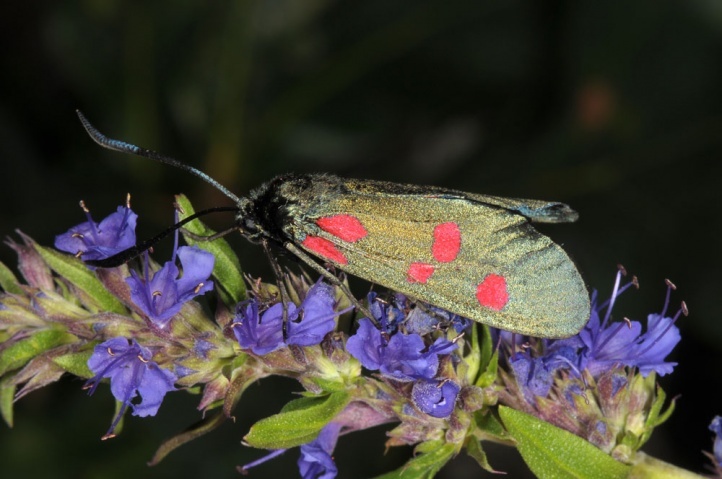 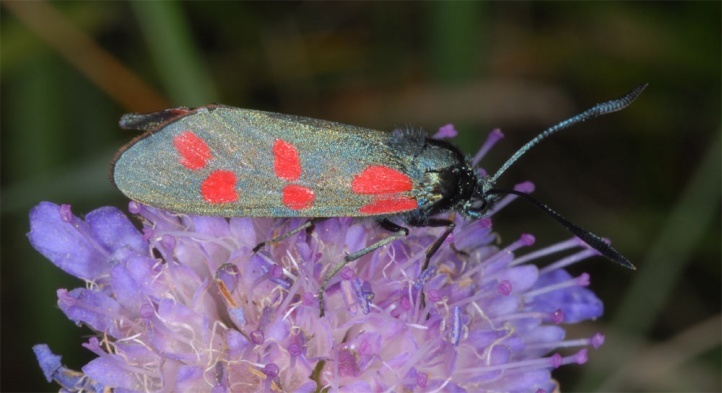 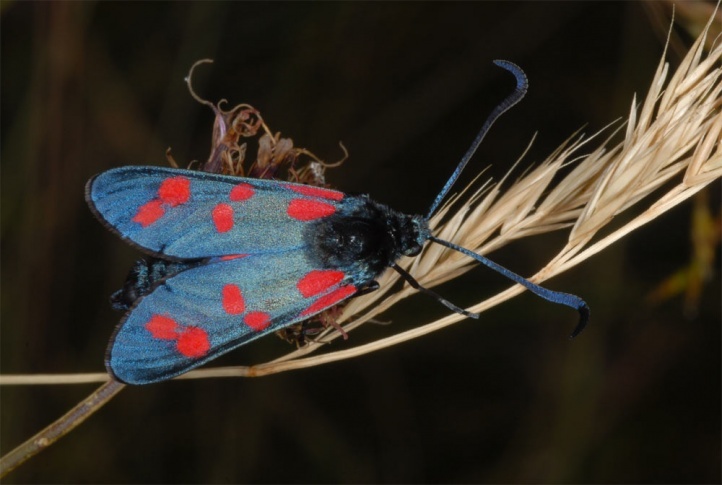 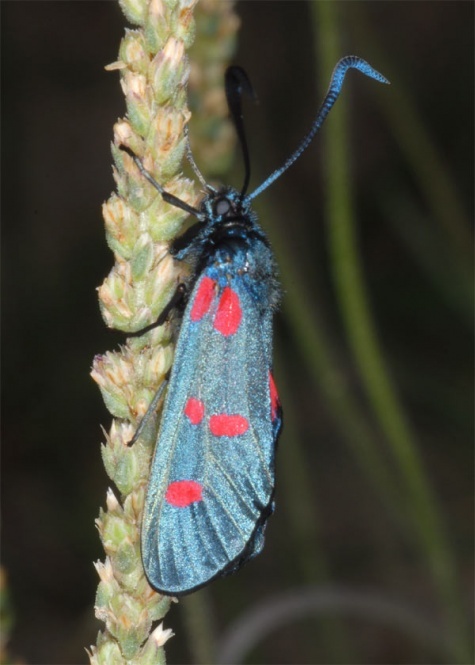 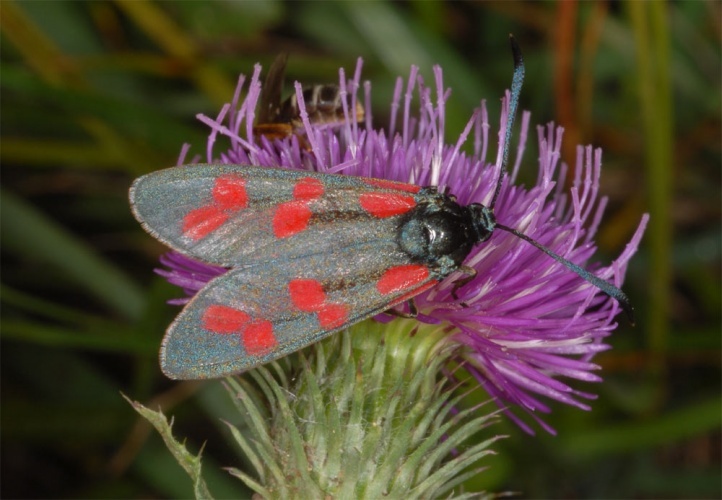 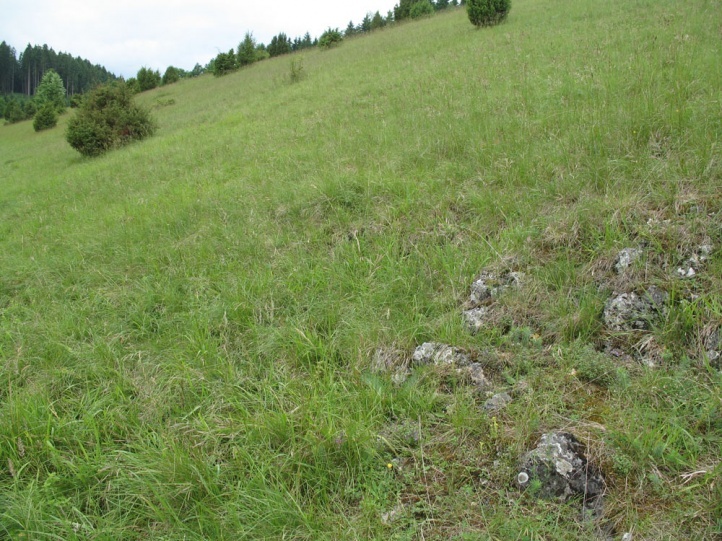 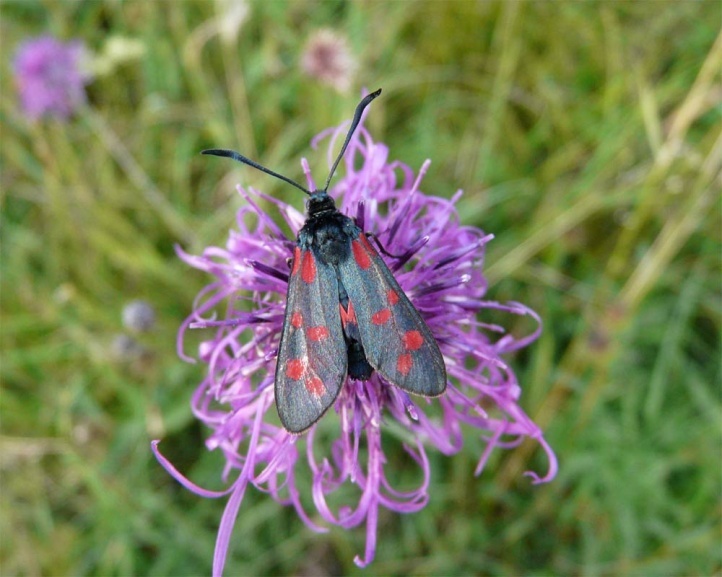 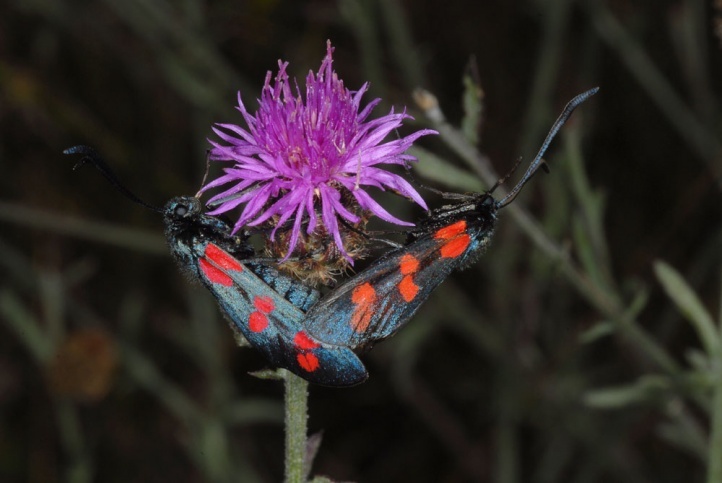 On the other hand Zygaena filipendulae is in decline in many regions, and already almost disappeared from some especially intensely managed landscapes (intensification of former nutrient-poor grasslands, dense planting of trees, bush encroachment, fertilization and frequent mowing e.g. 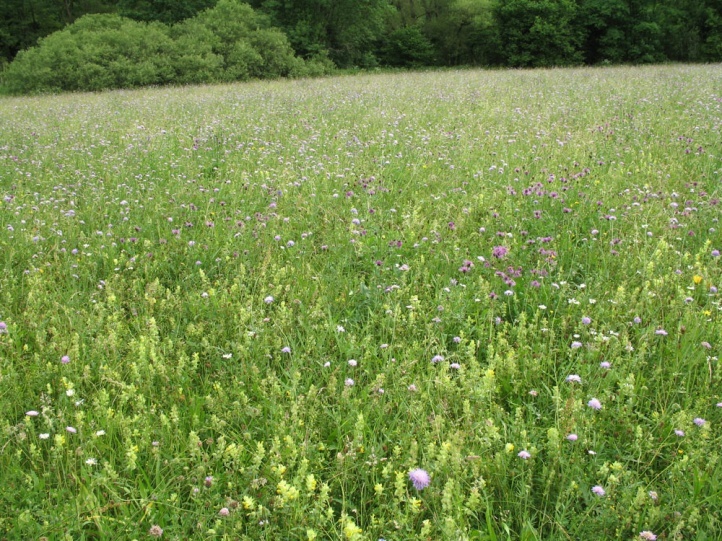 of road side verges). 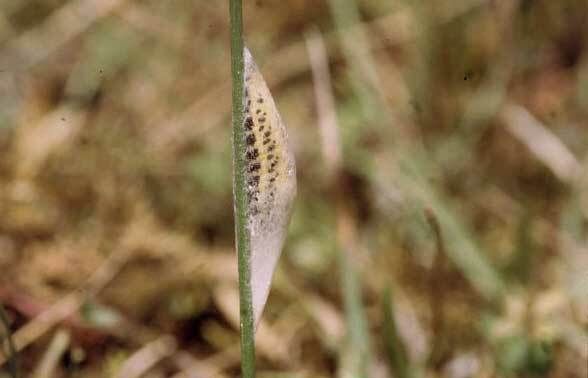 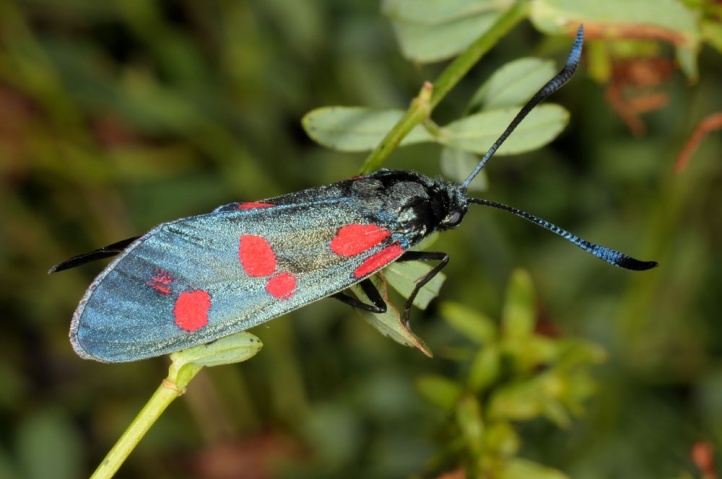 Due to general eutrophication butterfly-relevant Fabaceae such as Lotus, Hippocrepis and Coronilla decrease in most landscapes. 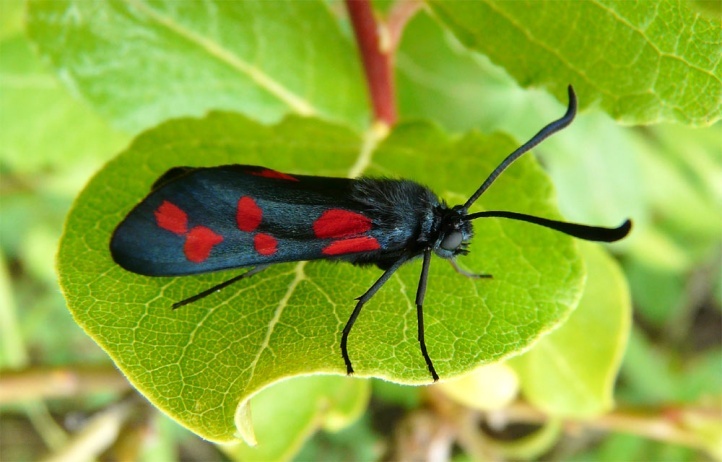 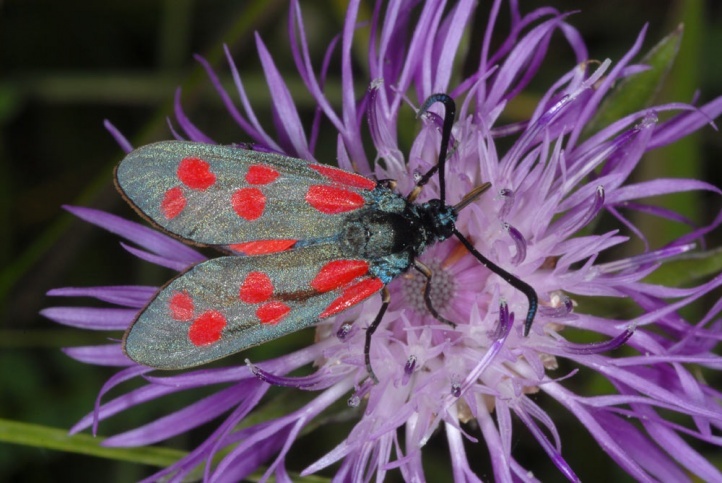 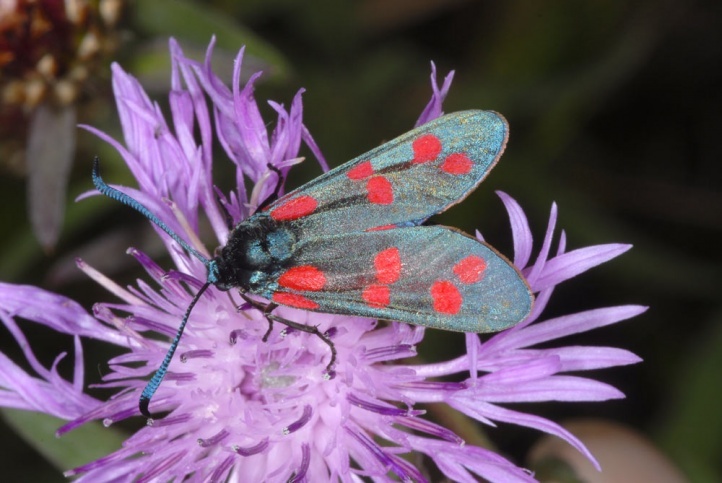 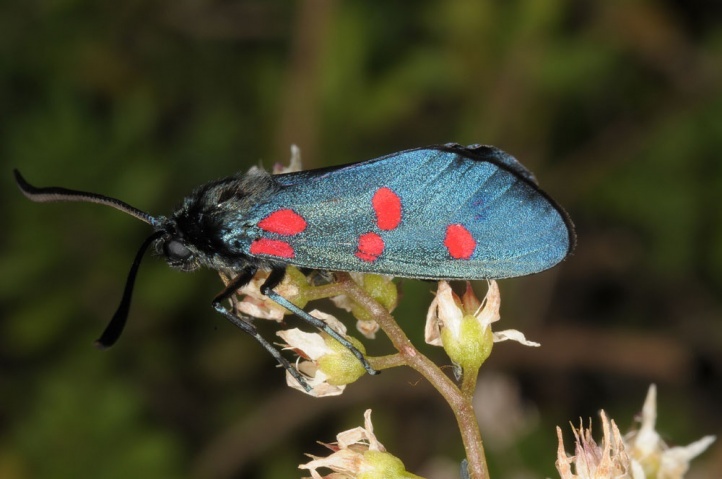 Zygaena filipendulae occurs from Spain (here rare and local) across most of Europe and Turkey to the Caspian Sea.